Name of booth: NANSATSU SHOKUCHO Co.,Ltd. 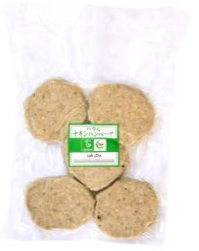 For about 40 years, Chiran town (Kagoshima prefecture, Southern Kyushu City) has been engaged in the manufacturing of processed products of chicken species. From raw meat to processed products, the products are able to take advantage of the features and characteristics of the raw materials with integrated production in-house. We obtained the local halal certification (Malaysia Halal Collaboration Co., Ltd) in 2012. Our factories uses strict Sharia method to process local chicken meat at ISO9001 health standards – we provide these raw meat and processed products to restaurants for Muslim residents and Muslim tourists in Japan, in-flight meals, etc. 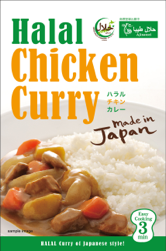 Feature: We use halal chicken soup concentrate and local produced chicken breast meat processed in our factories to reproduce Japanese-style curry. It is a product that can be enjoyed deliciously by both children and adults. 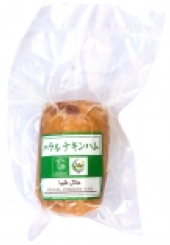 Halal certification: Yes / MHC Co., Ltd. Feature: Using halal chicken soup concentrate processed in our factories as the base, we create soy sauce ramen with the addition of halal soy sauce. You can enjoy ramen with simple preparation. 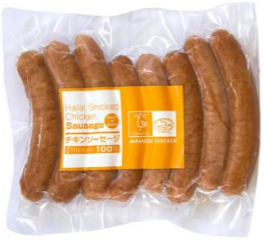 Feature: This is all-chicken sausage using halal local chicken processed in our factories. We put great emphasise on the texture and taste of the meat. Feature: This is all-chicken ham using halal local chicken processed in our factories. The original sweetness of the chicken meat is retained, and the soft texture makes it very easy to eat. Feature: It is made juicy using local produced chicken meat. After heating, you can either enjoy it as it is or with your favourite sauces. ← Yano Research Institute Ltd.